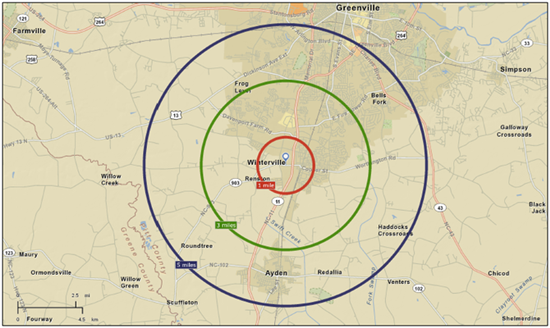 Basic data on 3 & 5 Mile Radius. Produced by ElectriCities. 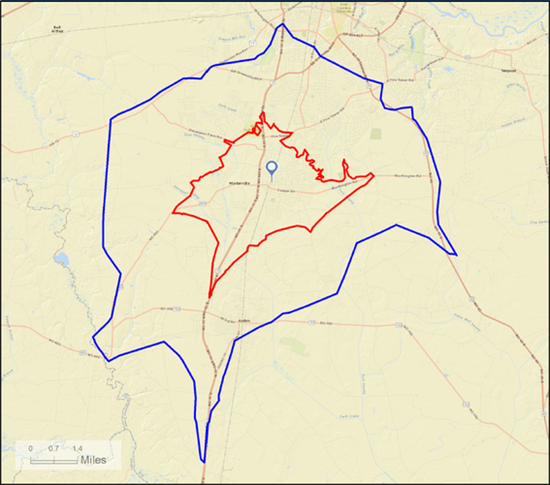 Map for the 1, 3 & 5 Mile Ring Studies. Produced by ElectriCities. 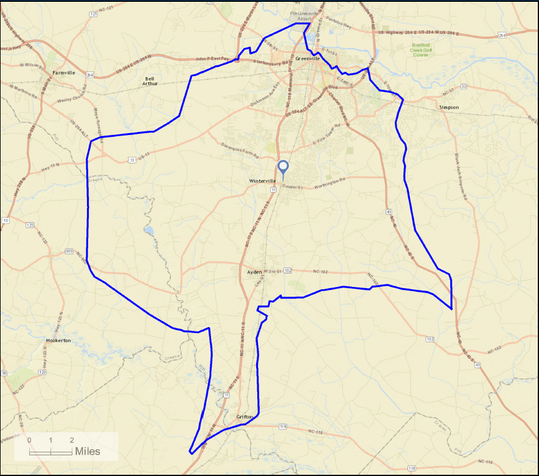 5, 10 & 15 Minute drive time area. Produced by ElectriCities.